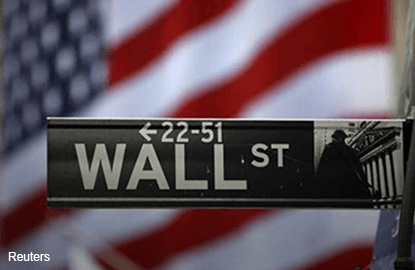 (March 27): Wall Street main indexes hit their lowest levels in six weeks on Monday after Republicans pulled a healthcare bill, raising questions about President Donald Trump's ability to deliver on his ambitious economic agenda. The bill, which was set to overhaul the Affordable Care Act, or Obamacare, was Trump's first major legislative move. Bank stocks, which had outperformed in the post-election rally on bets of tax cuts and simpler regulations, took a beating on Monday. Bank of America was down 3.6% and JPMorgan 2%, with the two stocks being the biggest drag on the S&P 500. Goldman Sachs fell 3%, shaving 45 points off the Dow. The S&P 500 financial index was off 2.2%, far underperforming the other eight losers among the major S&P sectors. "The markets around the globe are falling as a rethinking of the 'Trump Trade' begins to focus on reality," Peter Cardillo, chief market economist at First Standard Financial in New York, wrote in a note. "While we don't expect a full-blown correction to commence at this time, we do see rising negative sentiment replacing the 'Hope Trade'." The dollar, which had found favor on the possibility of tax cuts and higher infrastructure spending, hit its lowest since Nov. 11, while prices of safe-haven gold shot up to one-month highs. Utilities and real estate — the defensive plays of the S&P 500 — were the only ones in the black. At 9:40am ET (1340 GMT), the Dow Jones Industrial Average was down 169.57 points, or 0.82%, at 20,427.15, the S&P 500 was down 20.16 points, or 0.86%, at 2,323.82 and the Nasdaq Composite was down 54.35 points, or 0.93%, at 5,774.39. Investors will look forward to comments from Chicago Federal Reserve President Charles Evans and his Dallas counterpart, Robert Kaplan, for clues on the timing of the next interest rate hike. Fed Chair Janet Yellen is scheduled to speak at a conference on Tuesday in Washington. Declining issues outnumbered advancers on the NYSE by 2,113 to 587. On the Nasdaq, 1,928 issues fell and 486 advanced. The S&P 500 index showed six 52-week highs and six lows, while the Nasdaq recorded 11 highs and 33 lows.